After undergoing bariatric surgery it is very common to have excess, loose skin after rapid weight loss. It is especially prevalent with weight loss procedures like gastric sleeve surgery and gastric bypass surgery. There are ways to avoid loose skin and to remove loose skin. 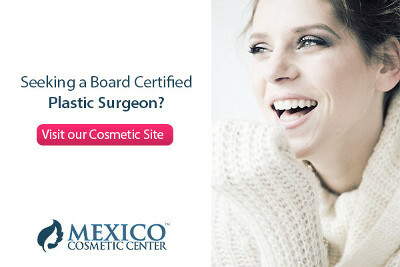 Our patient who had weight loss surgery in Tijuana, Mexico with Mexico Bariatric Center, just as with any bariatric surgery provider, shared their experience with excess, sagging skin, and solutions that helped them remove it. So let’s go ahead and discuss what causes loose skin, non-surgical and surgical solutions to the issue. Even after undergoing bariatric surgery, you should not even worry about the scale so much as the nutrition and exercise plan. A nutritionist can help plan out your macros and overall calorie intake to help ensure you are as well nourished as possible. When you can eat soft solid foods, having a goal of slowly increasing calories to above 800 and eating appropriate amounts of protein will assist with this. To determine your protein needs, take your ideal healthy weight and divide by 2.2. This will tell you to have many grams of protein you need. Alongside your nutrition plan, focus on muscle building exercises to slow the loss of muscle as you burn off those pounds. Intense exercises like high-intensity cardio will only increase muscle loss, and you are already going to lose weight from the surgery, so it is wiser to focus on muscle gain as your body sheds fat. 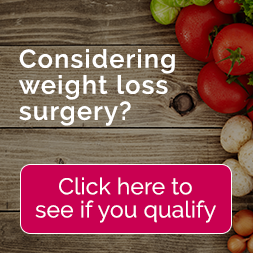 This way, you will reach your target weight range and will have reduced the percentage of muscle loss compared to a fat loss, aiding in tighter skin and better health. The skin has a layer of fat underneath and then muscle. If you burn that layer of fat under the skin while maintaining muscle, it will make you appear firmer and shape your figure. If you burn off that muscle, there is nothing there to give your body the way it could otherwise have. It is recommended that you only walk for the first six weeks post-operative. According to The American Society for Metabolic and Bariatric Surgery, each person is different, and exercise will vary based on the progression of healing after surgery. After six weeks, slowly increasing to 150 minutes of physical activity per week with walking, cardiovascular exercises, resistance and flexibility exercises like yoga. Be mindful of any events that may cause abdominal training like pull-ups, situp, and some weight lifting. It is important to wait a minimum of 6 weeks or until your incisions have completely healed before starting any weight training. It is best to discuss a plan with your primary care physician for slowly adding weight training to your exercise regimen. There are in fact foods that will promote healthy skin as well as real muscle growth. And with your limited calorie intake, it is even more so important that you ensure all of your calories counts. Fluids (such as herbal tea and plenty of water) Your goal is to get a minimum of 64 ounces of water. Optimal goal is to get half of your body weight in ounces of water. For example, if you weigh 200 lbs. Your water goal would be 100 ounces per day. Not everyone who loses a significant amount of weight struggles with excess skin. Some drop over a hundred pounds and their skin remains perfectly tight while others are left with drooping flaps in areas such as the stomach and arms. So what are the differentiating factors that are causing these two entirely different outcomes? The loose skin, in fact, is due to the weight gain initially. When you gain excessive amounts of weight, the surface area of the skin must grow to accommodate. When you lose weight, the same surface area is retained, leading to that hanging, sagging skin. However, some lose the weight and do not have the excess skin. Let’s cover why it is that some do and some do not have the issue with some more causes. When losing weight, supporting muscle (lean body mass) helps to support healthy skin. If you’re wasting weight aggressively and do not pay close attention to muscle mass, you will in fact not only burn off fat but this supporting tissue. Research has shown that lack of lean body mass does, in fact, contribute to that hanging skin over time. What you primarily want to lose is fat, while doing resistance training such as weightlifting to maintain muscle. Fat gain is typically a gradual process that takes months or years to occur. But when doing a crash diet or weight loss surgery, some overdo and fight to lose the weight as quickly as they can. Example – Let’s say you were at a healthy weight of 120 pounds, but over the years gradually gained to where you now weigh 280. You try to lose the weight, but it just proves unsuccessful time after time. So you undergo bariatric surgery and push to lose the weight as fast as you can, limiting your calories and doing a lot of cardio. You take your vitamins now and then and you eat smaller meals, but you don’t monitor your macros or the sources of protein, fat, and carbohydrates very carefully. When you deprive your body of too many calories and the right type of fats, proteins, carbs, vitamins and don’t do muscle building exercises you risk the chance of loose skin. You could, in fact, be facing around 60% of that weight loss being muscle as opposed to the roughly 20% loss of muscle through a typical crash diet or after surgery. The Issue – When you were at that 120 pounds before, you had more muscle which helped shape and firm up your figure while pulling your skin tightly against your body. When you burn off too much muscle, you can wind up back at that 120 pounds, but your lean body mass (weight percentage in fat vs. weight percentage in muscle) has changed. You are now in fact at a higher fat, lower muscle balance which causes you to have that excess skin. One’s age can also have an effect on the likelihood that they will have excess skin after weight loss. As you age your body naturally loses muscle and the elasticity of your skin also are reduced. Factors such as diet and exercise can affect this just as they do muscle mass in general. If you drink plenty of water or green tea, eat healthy fats, carbohydrates, protein, vegetables and fruits, your skin elasticity and muscle mass will remain stronger. smoking accelerates the aging process of the skin. Smoking causes a decrease in vitamin A and moisture in the skin causing the elasticity of the skin to decrease over time. A key component of healthy skin is moisture. When your skin is dehydrated, it affects the layers of the skin in a way that decreases firmness which leads to saggy skin. Some just are genetically prone to excess skin after weight loss due to genetics. But it is still wise to maintain a healthy balance of clean diet, vitamin intake, weight training, and focusing on muscle mass regardless of genetics. Please contact Sheila (our cosmetic/plastic surgery patient coordinator) at (916)693-5550 or reach out via email to [email protected]. Also, we will have Sheila reach out to you via email!